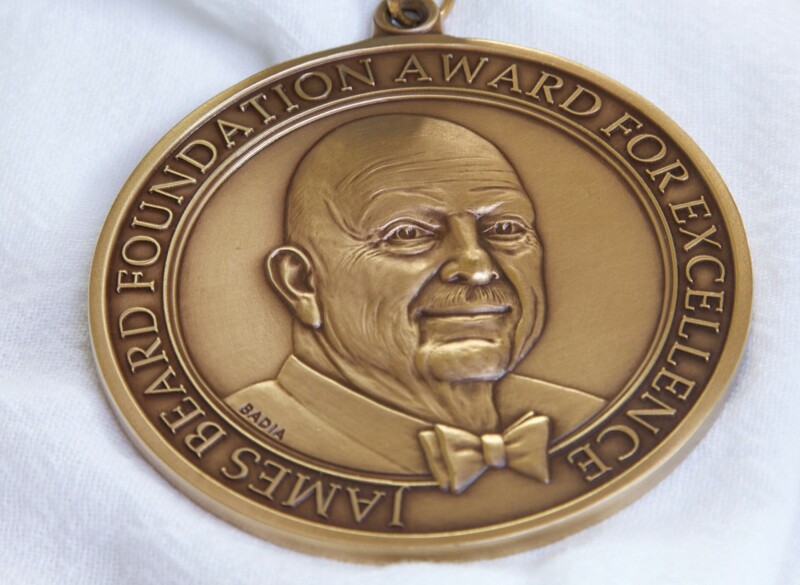 Yesterday, the James Beard Foundation released the list of semifinalists for its annual Restaurant and Chef awards that will be held in Chicago on May 1. Two Hawaii restaurants, Vino for “Best Wine Program”, and Senia for “Best New Restaurant”, made it on to the list this year. However, based on history, the odds are not in either of their favor. Hawaii chefs rarely make it onto the finalist list, and the last Hawaii based chef to bring home one of the coveted awards was in 2003. Why has Hawaii had such a long drought (going on 14 years) without a chef or restaurant making it to the finals? I sought out Hawaii’s three James Beard Award (JBA) winning chefs, Roy Yamaguchi, Alan Wong, and George Mavrothalassitis (Mavro) to find out. All agree that the main obstacle for Hawaii chefs is geography. The writers he refers to are from food publications like Wine Spectator, Food & Wine, Bon Appétite, and Restaurant News to name a few. The voting body for the JBA is made up of food writers from around the country along with past winners. The year that Yamaguchi won his award, Roy’s Restaurant was named Restaurant of the Year in Restaurant News, and he was featured on the cover of Bon Appétite magazine. Being featured in a major publication can bring the attention of JBA voters. As a result of this lack of exposure, there is a misunderstanding of what constitutes Hawaii cuisine. Chef Wong who won the JBA in 1996 says that there is still a misconception that if you put pineapple on a burger or pizza that makes it Hawaiian, or cooking fish means that it has to have macadamia nuts. This stipulation means that getting a lot of attention from the media is only part of equation. Its not just a popularity contest, voters have to come in and dine. This is easy in Los Angeles and San Francisco, whereas Western region voters would have to take a five-hour flight to dine at Senia, Vino, or any of the other restaurants that make it onto the ballot in the future. Wong believes that the Hawaii Food & Wine Festival (HFWF) is one way to overcome Hawaii’s geographic isolation from the rest of the JBA Western region. Chef Mavro feels that the Hawaii Visitors & Convention Bureau could do more by bringing the right people from major food publications. It comes down to publicizing in a targeted way that translates into JBA votes for Hawaii chefs. Mavro also believes that a targeted approach like this could also lead to the famed Michelin guide finally coming to Hawaii. Currently, a majority of advertising for Hawaii is as a vacation destination, which is great for the tourism industry as a whole, however, it perpetuates the old ideas of luaus, pineapples, and macadamia nuts. It does not adequately reflect Hawaii’s current food culture. Wong points to Chef Ed Kenney’s show, “Family Ingredients,” which does a great job of giving Hawaii’s food culture a sense of place. Each episode, illustrates how Hawaii’s cuisine borrows from different ethnicities — a result of the mixing of cultures during the plantation era. “Family Ingredients” is aired nation wide on PBS, and has great potential to expose JBA voters to Hawaii’s unique food culture. As such, Kenney and “Family Ingredients” could be recognized by the JBA when the Media, Journalism, and Book nominations are announced with the Chef and Restaurant finalists on March 15. What can chefs, not just in Hawaii, but anywhere in the United States do to raise their profile and be noticed by the JBA? The first thing to note is that Yamaguchi, Wong, and Mavro were not actively trying to gain the attention of the JBA. “At the end of the day, who knows why certain chefs win, but they are all talented deserving chefs,” says Yamaguchi who recalls working the line at his restaurant the night he won the JBA medal. All three were focused on achieving excellence in their restaurants, putting out good food, and servicing their customers to the best of their abilities. As a result, the JBA chose to recognize them. However, that doesn’t mean that they don’t have advice for the next generation of Beard laureates. The consensus between the three chefs is that Chris Kajioka and Anthony Rush, co-owners of Senia, have the best chance to be the next Hawaii chefs to receive a JBA medal. Even before it opened, Senia had a write up in the New York Times, and has since been featured in Food & Wine, Eater, and various national and international travel publications. JBA voting is currently underway, so we will see if Vino or Senia get an invite to the awards ceremony in Chicago.